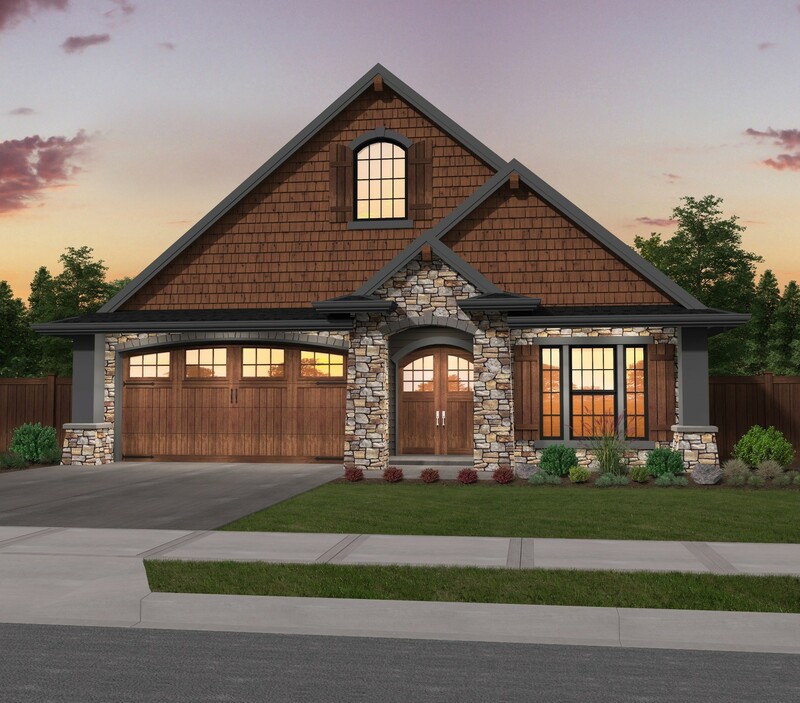 Clean and traditional cottage style one story craftsman house plan with a very popular floor plan. Through the foyer you’ll find one of our signature Casitas, which can be used for virtually anything you can imagine; home office, den, guest suite, yoga studio etc. From there you arrive at the dining room (complete with 12′ ceilings) which leads elegantly into the gourmet kitchen, which features double islands, and great room (also with 12′ ceiling). 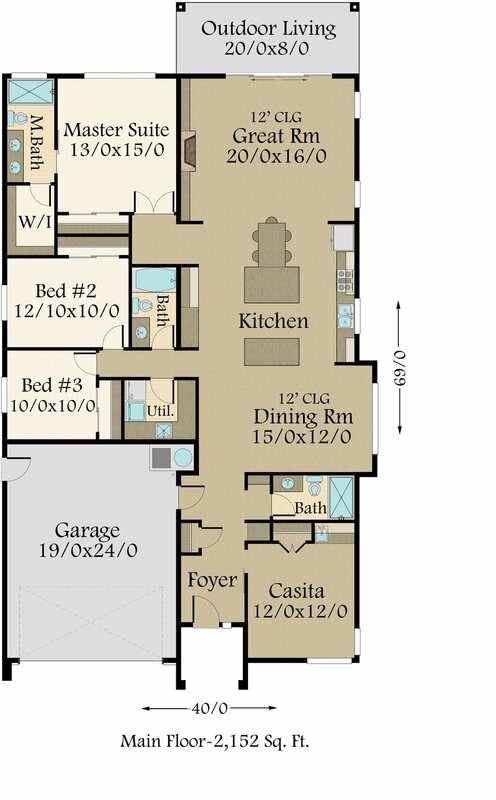 Adjacent to the great room is the private master suite, complete with large soaking tub, double sinks and walk in closet. The large outdoor living space can be accessed from the great room, and due to it’s open concept floor plan, entertaining is a breeze. Down the hall across from the dining area you will find two additional bedrooms and a bathroom. The utility room is also conveniently located in this hallway.